Every day, we get closer to the summer launch of the newest expansion to Star Trek Online, Victory is Life. But when the expansion comes, will you be ready? 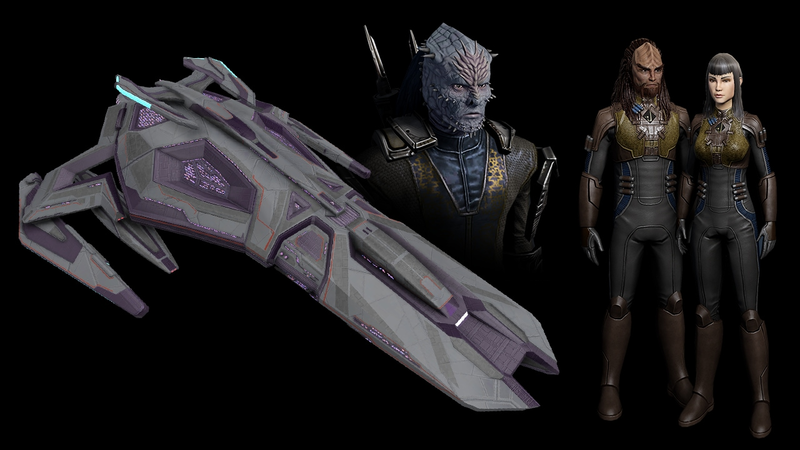 If you want a head start on everything the brand new Jem’Hadar faction has to offer, we’ve got some offers, available right when the expansion launches, to help you out. They’re called the Gamma Vanguard Starter Pack, and the Gamma Vanguard Pack, and here’s the breakdown of what they offer. You'll be able to purchase them as soon as Victory is Life goes live. We can’t wait for you to experience all of these new items, Captains. With the launch of Victory is Life, players will be able to freely choose to create a standard Jem’Hadar Warrior but also available are the Jem’Hadar Vanguard. Jem'Hadar Vanguard are designed for the most intense combat encounters and feature enhanced space combat techniques. Their enhanced combat training has made them incredibly effective at defeating their opponents through superior offensive capabilities on both ground and in space. This is only available when choosing to create a Dominion Captain. 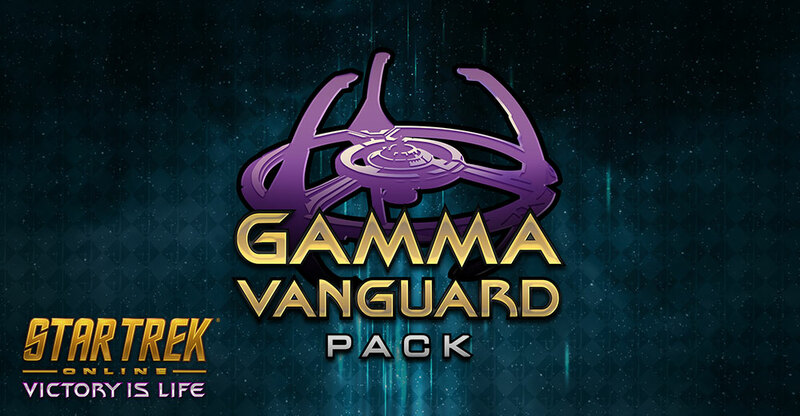 This title is exclusive to purchasers of the Gamma Vanguard Pack and Gamma Vanguard Starter Pack. It unlocks for all Captains on the account. The Gamma Quadrant is under attack and the threat of the Hur’q has spilled into the Alpha Quadrant. With the items found in the Gamma Vanguard Pack, you’ll be well-prepared to tackle these threats -fighting the Hur’q alongside the forces of the Dominion – or as a part of it! Introduced during The Dominion War, this ship is twice the mass of a Federation Galaxy Class starship and was used to take out outposts and provide heavy support for the Dominion fleet. 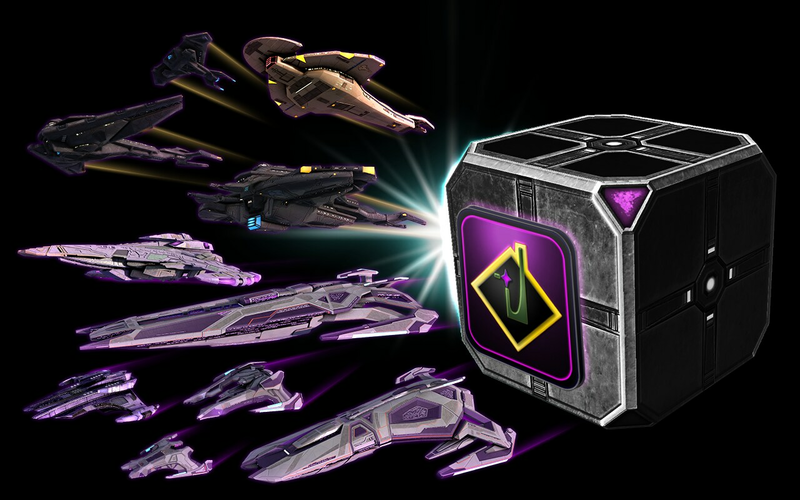 This ship was once only available in the Lobi store but is now included in this pack for every character on an account. This ship comes with a free upgrade to T5-U when owned by a Level 50+ character. This Jem’Hadar warship was designed after the Dominion War to complement the tactics of the Jem’Hadar warriors. Often, just the appearance of this ship flanked with its Jem’Hadar fighters could turn the tide of a battle. This ship was once only available in the Dominion Lockbox but is now included in this pack for every character on an account. This ship comes with a free upgrade to T5-U when owned by a Level 50+ character. These nimble light craft are even more maneuverable and evasive than the older Attack Ships seen in action during the Dominion War. Their frequent use in subtle operations that sometimes take them away from the safety of the fleet means they are outfitted to be versatile and capable of performing well in a wide variety of situations. This ship is for Dominion Captains only initially. It will be outfitted with a Tier 6 Starship Mastery Unlock which enables its use on all other characters on your Account once attained. When the Dominion needs a heavy offensive powerhouse, this is the new starship of choice to send into the thick of it all. More sturdy and robust than the older Escorts, without sacrificing much in the way of firepower. This ship is for Dominion Captains only initially. It will be outfitted with a Tier 6 Starship Mastery Unlock which enables its use on all other characters on your Account once attained. This soaring juggernaut leads the line of new Cloak-enabled Intelligence-focused starships, focusing on misdirection and undermining enemy effectiveness. The Damar-class bears the honor of being named for the martyred military leader that helped free Cardassia from Dominion oppression during the Dominion War, which paved the way for further social reforms and prosperity for the people of Cardassia. This ship is available for all factions. This sturdy vessel supports a wing of strike fighters while also supplying a frontline defensive stronghold for both support and sustained offense. It is well-rounded and capable of responding to a wide variety of tactical scenarios, and can utilize its Cardassian Cloaking Device to deploy forces behind enemy lines, or escape if the tide of battle turns against it. This ship is available for all factions. Part reconnaissance vessel and part strike ship, the Detapa-class is designed for decisive offensive actions and can rely on its Intelligence abilities to evade enemy defenses, or undermine their effectiveness. Few see it coming, and even fewer are able to react before it’s too late. This ship is available for all factions. Cardassians have decided to help the alliance by joining the ranks of Starfleet and the Klingon Defense Force. Players will gain access to create a Cardassian Captain in either major faction with this new addition to the list of species available. *This option un-locks once per account on a character of your choice. Improve your gear! Apply each of these Dominion Tech Upgrades to any piece of equipment of your choice to increase its Mark, and have a chance at increasing its rarity. This title is exclusive to purchasers of the Gamma Vanguard Pack. It unlocks for all Captains on the account.